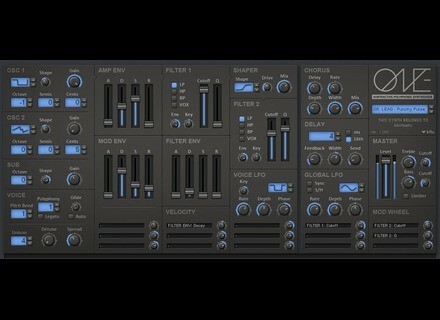 kHs ONE, Other Virtual Synth from kiloHearts. kiloHearts has updated kHs ONE to version 1.011. The release is said to focus on improving the audio quality and UI based on feedback from users. Also, a manual is released, publicly available in HTML and PDF format. Shift can now be held for precision dragging of knobs and sliders. Envelope attack has been tweaked to allow true instant attack. Envelope precision has been improved. Filter response has been improved. The range of unison detune and spread has been doubled. A bug in the waveshaper that in some cases could lead to popping noises has been fixed. In some cases the Delay display showed a ms value when 16th is selected, which has been fixed. Brainworx Releases bx_meter Brainworx has released bx_meter, a metering and measurement tool designed to allow you to visually analyze your audio signal in various ways.